Senator Richard Blumenthal speaks in favor of net neutrality on the Senate floor. 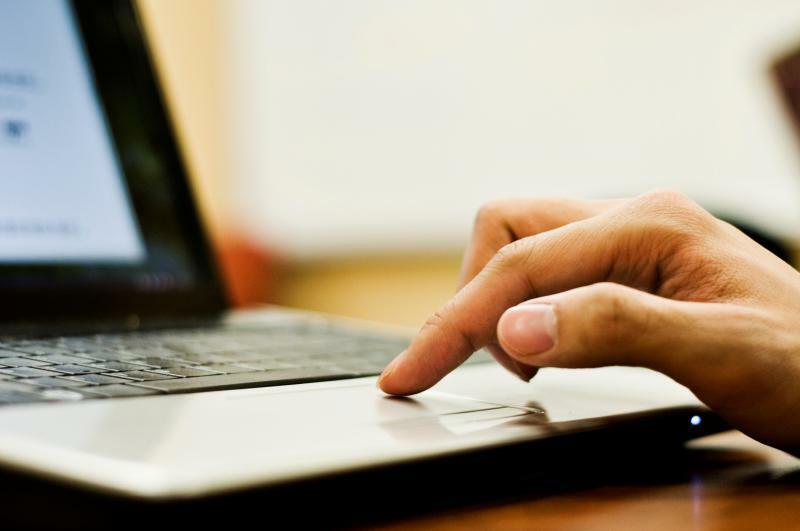 Net neutrality restricts internet service providers from slowing down or speeding up access to certain websites. The Federal Communications Commission voted to overturn the rule last December. 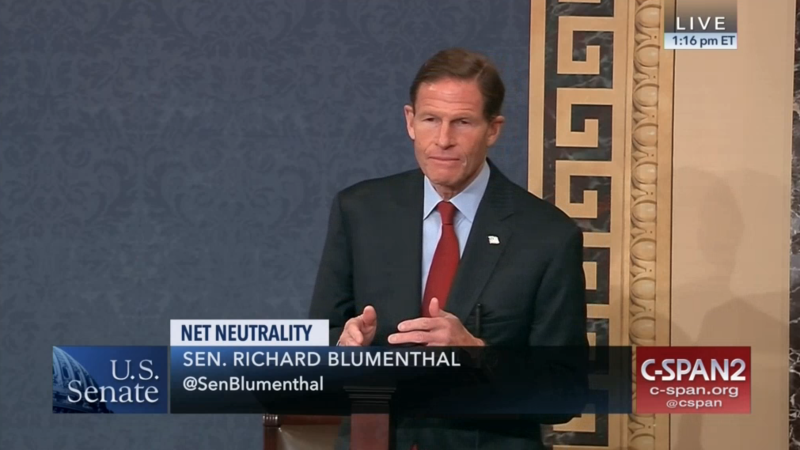 Speaking on the floor of the Senate, Connecticut Senator Richard Blumenthal said without net neutrality, large broadband companies become even more powerful, hindering competition from smaller companies. “The reversal of net neutrality is a consumer's worst nightmare, but it is also a nightmare for small businesses, for competition, and innovation and creativity in America,” said Blumenthal. 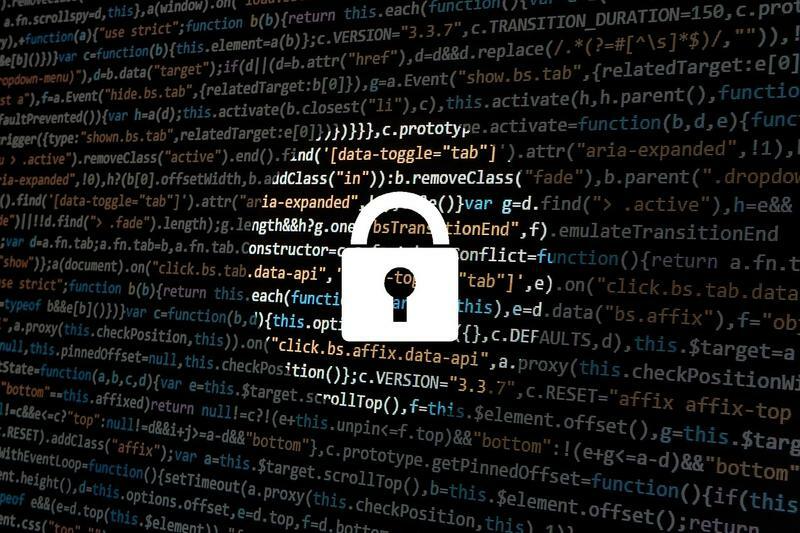 In order to stop the FCC's rollback of net neutrality before it officially starts next month, the resolution will need approval from the House of Representatives as well as President's Trump's signature. That may be a heavy lift, but Blumenthal reminded the Senate that the issue of net neutrality will likely be decided in court. Earlier this year, a coalition of 23 attorneys general, including Connecticut's Attorney General George Jepsen sued to stop the rollback of net neutrality. Wednesday’s 52-47 vote went along mostly party lines, with Republicans Susan Collins of Maine, Lisa Murkowski of Alaska, and John Kennedy of Louisiana joining Democratic senators in favor of the resolution.